1.There will be no entry fees for this department. 2.The exhibitor must produce all articles exhibited in this department. 3.If any article, in the opinion of the judge, is not entered in its proper class it will not be considered in the award of premiums. 4.Entries will be accepted between 1:00 p.m. and 4:00 p.m. Sunday before the fair and between 8:00 a.m. and 12:00 noon Monday of the fair. Entries must be in place by 12:00 noon Monday of the fair and must remain on exhibit throughout the entire fair. Items will be released between 12:00 noon and 4:00 p.m. Sunday after the fair. 5.Premiums for this department must be picked up at the Culinary Department during the release times listed in rule 4. 6.The Fair Board and its Directors will not be responsible for the loss of exhibits or ribbons. 7.Ribbons for 1st, 2nd, and 3rd place will be awarded in each class. Premiums for each class will be 1st Place – $3.00, 2nd Place – $2.00, and 3rd Place – $1.00. 8.All jars and glasses must have new rings and lids. No decorations or decorative tops may be added to the jars. Decorative flat seals are acceptable. 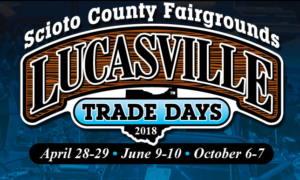 9.Exhibitors are limited to two entries per class and to Scioto County residents. 10.The “Any Other Variety” classes may be further divided if entries warrant. Each entry in these classes must be named as to variety. 11.All cakes and pies must be a one-quarter section. All cakes, bread, pies, cookies, and rolls must be in a plastic bag and be on a paper plate. Icings on cakes should be the same color as the cake – e.g. white icing on white cake, chocolate icing on chocolate cake, etc. 12.Decisions of the judge or judges are final. Note: All exhibitors in the Culinary Department will receive a coupon for Red Star Yeast. The winners in classes 1-3 will receive an additional award from Red Star Yeast.